Take a load off with the Strong Man Toilet Paper Holder from Fairly Odd Novelties! If you're feeling down in the dumps, let this guy lift you up! This toilet paper holder is sure to add a bit humor to any bathroom, and get you pumped up for your private time. Get ready to get those reps in! 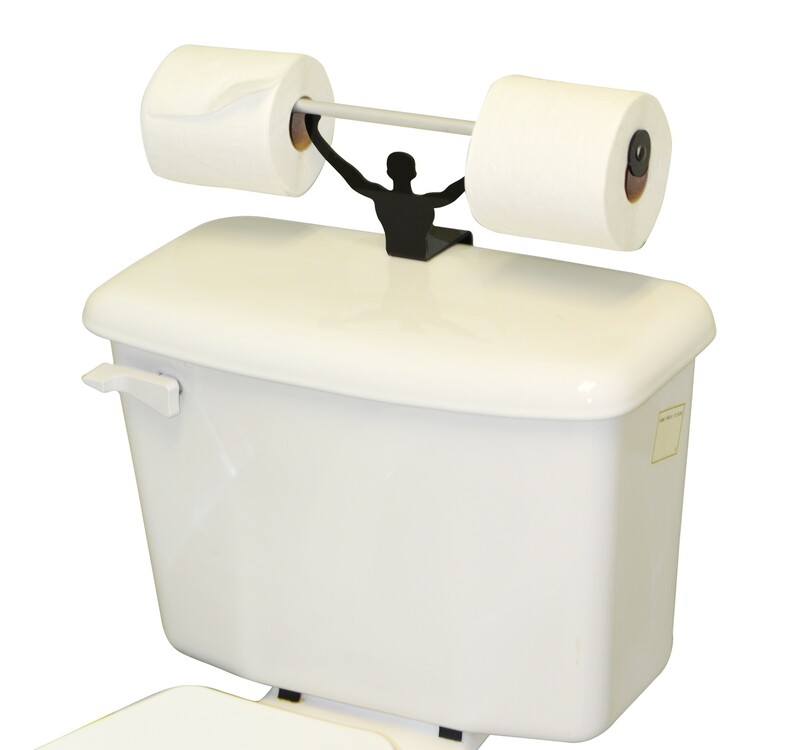 Take a load off with the Strong Man Toilet Paper Holder from Fairly Odd Novelties! If you're feeling down in the dumps, let this guy lift you up! This toilet paper holder is sure to add a bit humor to any bathroom, and get you pumped up for your private time. This aluminum holder comes with a layer of adhesive on its underside which allows for quick and easy mounting on the lid of your toilet. With as strong as the weightlifter is, he's able to hold up two rolls at the same time, which leaves you with the choice of how even his reps will be. Will you pull from the left or right first? Will you keep them even? The only way to find out is to try it for yourself! This novelty toilet paper holder is also sure to show everyone who's boss at your next birthday, white elephant, office, or secret Santa event. Order today and get ready to get those reps in! Base is made from plastic and holder/rod is made from anodized Aluminum. Measures 3.00" x 6.50" x 15.75".